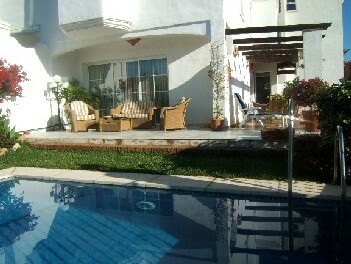 terrace and private pool 155.85 m2. Puente Romano and Marbella Club, a ten minute walk from the beach, has tropical gardens, pool and waterfall. terraza-porche and floor with a loft bedroom, a bathroom with a jacuzzi and solarium. floor with private garden and pool 155.85 m2.